The life review provides the opportunity to reexamine our life and discover its cohesiveness and value. Everything we experience, remember, and integrate in our own life history teaches us something and endows us with a store of wisdom we might not otherwise have developed. In sharing the stories of our lives, we discover our kinship with one another; for as Carl Jung observed, what is most deeply personal is also most universal. At some point, we all encounter loneliness, love, loss, overcoming, shame, joy, betrayal, delight, and grief. Our life stories are about ourselves, but they are also about human experience. In sharing our stories, we learn and draw strength from one another. In her reminiscence work with groups of elders, Grace Worth was surprised to discover how much participants gained from listening to one another’s stories. “Listening was as vital as talking. 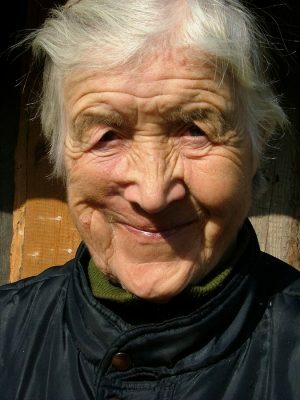 During the sharing time [elders] were amazed time and again at the universality of those particulars which before had seemed important only to their individual lives and persons.” In listening to one another’s stories, we are reminded of our common humanity and of our interconnectedness. Stories dissolve isolation and reweave our sense of belonging. In sharing our memories with the young and telling stories of what we have experienced and witnessed, we illuminate the cord of continuity that connects generations. For youth to find their way forward, they need to know from whom and whence they come. In these difficult times, stories that communicate the tenacious continuity of life and of human beings’ capacity for endurance are especially important to share. 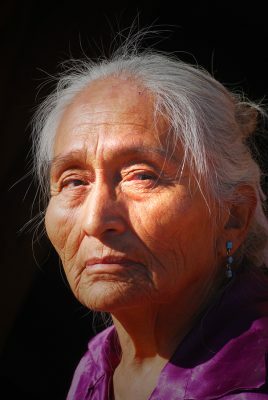 As older people, we are the guardians of the remembered past. We know a world to which the young have no access, unless we share it. Through storytelling we bring to life the people and events of the past and illuminate the bridge between generations. Our stories let the young know that generations stand behind them. They are not starting from scratch, not adrift in time. They come from people who have struggled and survived; our survival is a testament to human endurance and to the continuity of life. Manheimer, Ron. “Remember to Remember,” in Marc Kaminsky’s All That Our Eyes Have Seen. p. 98. Moody, Harry. “Reminiscence and the Recovery of the Public World” in Marc Kaminsky’s The Uses of Reminiscence, pp. 158, 162. Worth, Grace. “At The Center.” In Marc Kaminsky’s The Uses of Reminiscence, p. 59. I highly recommend the following films that beautifully illustrate the beneficial effects of reviewing our life and sharing our stories: Evening, The Straight Story, Fried Green Tomatoes, The First Grader, The Woman in Gold, The Best Exotic Marigold Hotel, and Enchanted April. There are times when the words just flow, but often they don’t, and realizing that ebbs are part of the process can be comforting – and freeing. Reading a wonderful writer like Sue Monk Kidd describe her struggles as a writer (Traveling with Pomegranates), helped me not to turn against myself or give up when stalled or stumped. While working on “The Grace of Creativity” I found myself typing, “Don’t quit, shift.” In that moment I realized that getting stuck had tutored me in navigating dry spells. I had heard that Jane Austin used to play the pianoforte when her writing stalled. For me, taking a short break to walk, swim, pull weeds, or wash the dishes, helps clear my mind and often gets the words flowing again. In one longer than usual dry spell, I shifted gears and spent a few days doing mundane tasks related to the book, like checking endnotes and returning books to the library. Shifting gears keeps me working, but releases me from banging my head against walls that apparently have no intention of yielding – yet. Being stuck happens, and it passes. And it’s not the enemy. I now see being stumped or stalled as an indication that something is “off” or not yet ripe. And many of my best insights and favorite sentences have come after a time of stuckness. What’s been important is to find ways to keep working through both ebbs and flows and to let the process unfold at its own pace and in its own way. Somewhere in these 15 years of writing Winter’s Graces, I’ve gotten better at discerning when to keep doing what I’m doing and when to let the Muse nudge me in another direction. The latter is especially hard when sensing that something I loved writing is now unnecessary or distracting and needs to be eliminated. I’ve heard that for some writers such necessary pruning can mean putting aside an entire first draft and starting over. I created a bone pile/file for sentences, quotations, and hunks of chapters I loved but sensed I needed to sacrifice, for the sake of the book. For me the bone pile was a way to cut but still shelter what I was not ready to release entirely. I still have that bone pile, though I haven’t looked at it much since making it – probably because somewhere in this journey of writing the book and growing older, I’ve learned to trust that the Muse / Life knows what she’s doing, even when her guidance is hard to follow initially. I’ve also realized that the creative spirit is always in motion, and we needn’t fear letting go because there is always more coming. There is no need to hold on to everything. 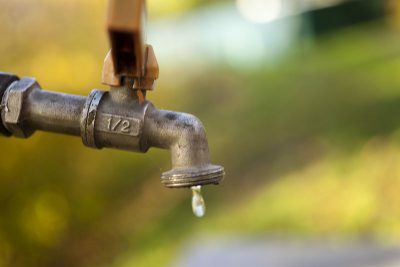 In fact, relinquishing empties our hands so they are ready to catch the next thought, image, or emotion that will lead us to an essential insight, a beautiful sentence, or . . . we never know. Some last words for those who might be inspired to write but are daunted by the prospect: “What you can do or dream you can, begin it; boldness has genius, power, and magic in it.” I’ve always loved this sentiment, attributed to both Goethe and John Anster. Having written Winter’s Graces, I feel its truth even more deeply. PS (for older writers especially) In my experience, all of the qualities that helped bring forth Winter’s Graces – passion, courage, flexible tenacity, and trust in the process – ripen with age. In fact, courage and creativity are two of the eleven graces of winter, and a chapter is devoted to each. Flexible tenacity draws from the graces of authenticity (growing trust in oneself), contentment (the capacity to adapt creatively to adversity), and wisdom (deepening discernment in the face of important challenges). Trust in the process is supported by the graces of self-transcending generosity (a growing sense of being part of something bigger than the ego or little self), necessary fierceness (the willingness to do what must be done), and simplicity (a deepening capacity to relinquish the non-essential for the sake of what matters most). As one who has been haunted and daunted herself, let me first say that you are not alone. It is a VERY big thing to complete a book – and for me, an even bigger thing to share it once it’s done – and it’s entirely human to be afraid when entering unfamiliar territory. The trick is to keep moving forward in spite of being scared. Looking back, what helped me continue these 15 years were a few good friends and a handful of qualities: love/passion, courage, flexible tenacity, and trust in the process. 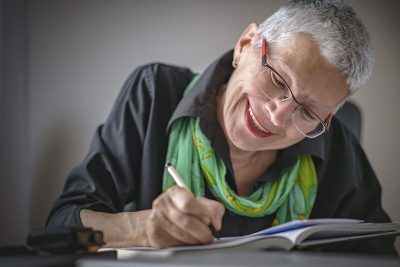 The good news is that you needn’t possess these characteristics in abundance at the outset because writing helps develop them – and so does growing older. For me, the most important thing was passion, and loving the crone was not easy at first. Aging is way down on most people’s list of juicy topics, and the word crone has to be one of the least popular in the English language. But the crone was haunting me, and I’m grateful that I followed her initially unwelcome nudges because they have enhanced my life enormously and eventually turned themselves into a book. A longer version of this unexpected love story appears in the Introduction to Winter’s Graces and a shorter one can be found at wintersgraces.com/how-i-learned-to-love-the-crone. One of you might be fascinated by an irresistible character that strolled into your awareness one morning, or by an experience that is pushing to be turned into a story. Sometimes a lifetime of stories wants to be written down in memoir. Or it might be a single phrase that does the beckoning, or a dream, or a statement that is too important not to make. A love tap like one of these is worth dancing with, at least for a time. And if it’s really love (and a worthy task), the passion will keep you going through the dry times, and the lazy ones, and the scary ones. (Etymological aside: The word love comes from roots that mean “desire” and “it is pleasing,” and the word passion derives from the Latin pati, “to suffer.” For me, writing – like other forms of love – entails all three: desire, pleasure, and sometimes suffering. Humorist Cynthia Heimel said something similar: “When in doubt, make a fool of yourself. There is a microscopically thin line between being brilliantly creative and acting like the most gigantic idiot on earth. So, what the hell, leap!” I began Winter’s Graces with very little grace and a huge amount of fear and resistance. All I can say is that despite fear, doubt, and other internal impediments, something in me kept choosing to continue, even when I had no idea how to proceed. Picasso’s words lent me strength in one particular period of uncertainty: “I am always doing that which I cannot do in order that I may learn how to do it.” We learn to write by writing – what a freeing idea! Even so, there were many times when I became convinced I didn’t have the writing skill nor the cognitive speed and agility to write a book, and then added the extra burden of beating myself up for being scared. More than once my good friend Ellen would say just the right thing – like “Of course you’re scared” – and then remind me of another time when she or I had been terrified, finally found a way through the fear, and recovered our gumption and aliveness. 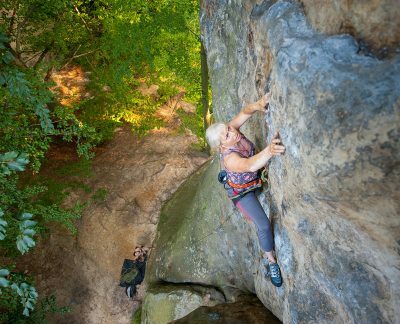 The other day I ran across these words by mythologist Joseph Campbell: “The cave you fear to enter, holds the treasure you seek.” If the Muse has been beckoning you with a love tap and you’re daunted by fear, why not “write on” and see where it takes you? To be continued next week in More Thoughts on Writing: Flexible Tenacity and Trusting the Process. 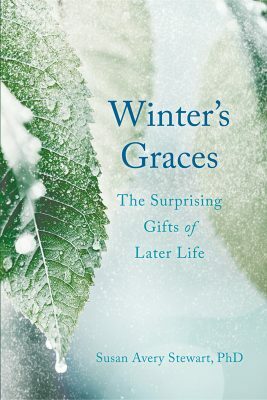 Winter’s Graces: The Surprising Gifts of Later Life is being released on Tuesday, October 9, after more than 15 years of study, writing, editing, and rewriting; learning to navigate the brave new (to me) world of publishing; dealing with internal obstacles like anxiety, discouragement, and self-doubt; and growing older myself. It has been a challenging and very rewarding decade and a half, and I’m delighted that the book is finally making its way into the hands of readers. This “coming out” has taken more than a village and would not have happened without the support and contributions of five communities, for whom I am most grateful: Sonoma State University, the village of Dillon Beach, the town of Petaluma, a geographically scattered “village” of professionals, and a small group of “angels” who appeared at crucial points in the process bearing messages of encouragement. Sonoma State University was the place where my curiosity about aging was first kindled and where the search for good news about later life began. I am grateful for my colleagues in the Psychology Department, for our students who taught us so much, and for Elaine Leder, Dean of Social Sciences; Jean Wasp, media coordinator; and Jack Ritchie, librarian. The (literal) village of Dillon Beach provided a peaceful sanctuary in which to bring Winter’s Graces to completion. 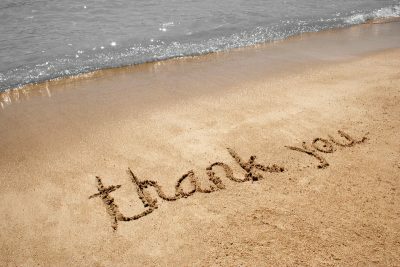 I’m grateful for fellow villagers like Stella, Dennis and Ellen, John, Judy, Jackie, Jim, Jan and Tom, Greg and Lynn who took me into their fold and with whom I shared the joy of living in paradise for 15 years. Petaluma has been my home for almost three years now, where I am blessed with closer proximity to good friends, spiritual companions, and my family – including my granddaughter Natalie who has helped me navigate the unfamiliar yet necessary territory of blogging and all things technical. Petaluma has been the place from which I was able to find a fine team of professionals without whom Winter’s Graces would not exist. This geographically scattered “village” includes Caroline Pincus, Book Midwife (who assured me early on that publishing this book was really possible); Lauren Wise and Brooke Warner, congenial publishers at She Writes Press; a marvelous editor and info-sleuth (Barrett Briske); a supportive and talented publicity team (Julia, Jared, and Bradley) at Wildbound PR; and a fine web designer (Stephanie Racine, Off the Page Creations). Each of these helped to transform the manuscript/draft into a beautiful book and to bring it into the world. Last but not least is a village of generous souls, “angels” who appeared at critical moments in the process, providing encouragement and support of various kinds, especially Ellen Katzman, Anita Eliot, Mary Ann Clark, Abbey Levine, and Linda Lee Boyd. Thanks to these five villages and many other people, Winter’s Graces will be available in bookstores on October 9 (or can be easily ordered through them); I hope you’ll support your local bookshop. An e-book will be released through Amazon on October 9 as well. For information about upcoming books signings and other events, please visit wintersgraces.com/upcoming-events.